Wales' men's and women's rowing squads both finished second overall at the Home International Regatta in Scotland. 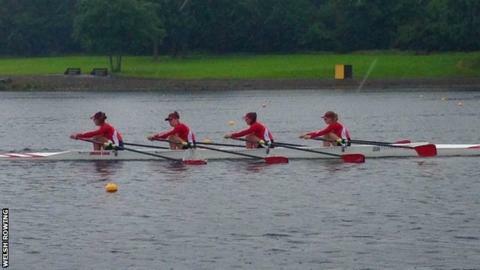 The Welsh men's eight won the final race of the day, while the women's quad claimed gold. Former Cardiff University student Helen Roberts and Becci Girling won gold in the pair, while Roberts also took gold in the double. Josh Bugajski, formerly of Cardiff University and now rowing for Oxford University, won the men's single scull. Wales will host the 2016 Home International Regatta - annual rowing races between England, Ireland, Scotland and Wales - with the venue yet to be announced. "I am very proud of our rowers," said Helen Tan of Welsh Rowing. "The day started bright and sunny but soon became very wet and windy but Wales have dug in to win races in very challenging weather. It bodes well for next year when we host the Home International Regatta". Wales' junior men and junior women's teams finished in fourth place. Scotland won the senior men title, with England taking both the women's senior and junior titles. Ireland won the junior men crown.